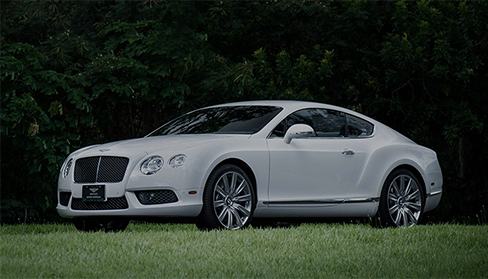 Two of the world’s most luxurious cars for hire and five acres of complete luxury. That’s Velocity Honolulu. Find incomparable lifestyle, power, and performance at your convenience with the Velocity Driving Experience. Fill out the form and get started on the adventure of a lifetime as you cruise and enjoy the gorgeous coastlines that have made Hawaii the Pearl of the Pacific with the Velocity Driving Experience. Plus, there’s more to see than just the world’s most desirable luxury vehicles at Velocity. Our facility combines retail and service through our luxury shopping boutiques and gourmet dining. Gear yourself up for an experience like no other. 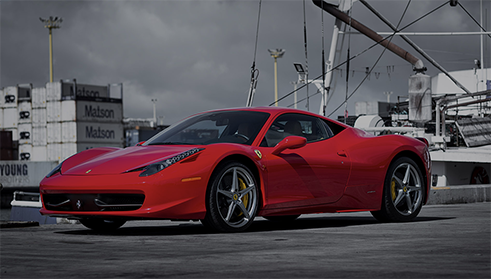 If you want to see the islands behind the wheel of the “World Performance Car of the Year,” choose the Ferrari 458 Italia. Its powerful V8 engine harnesses 562-hp that leaps from 0 to 60 mph in under 3.4 seconds. When looking for thrills on the roads of Hawaii, it simply doesn’t get any better this. When it comes to unrivaled power, exquisite craftsmanship and state-of-the-moment technology, choose the Bentley Continental GT. Agile, elegant and effortlessly efficient, the new Continental is the most advanced Bentley ever. Inside the cabin, you’ll discover a whole new level of the luxury that Bentley is famous for. Plus, there’s more to see than just the world’s most desirable luxury vehicles at Velocity. Our new building combines retail and service through our luxury shopping boutiques and gourmet dining. Gear yourself up for an experience like no other. © 2017 JN Group Trademarks and brands are the property of their respective owners.